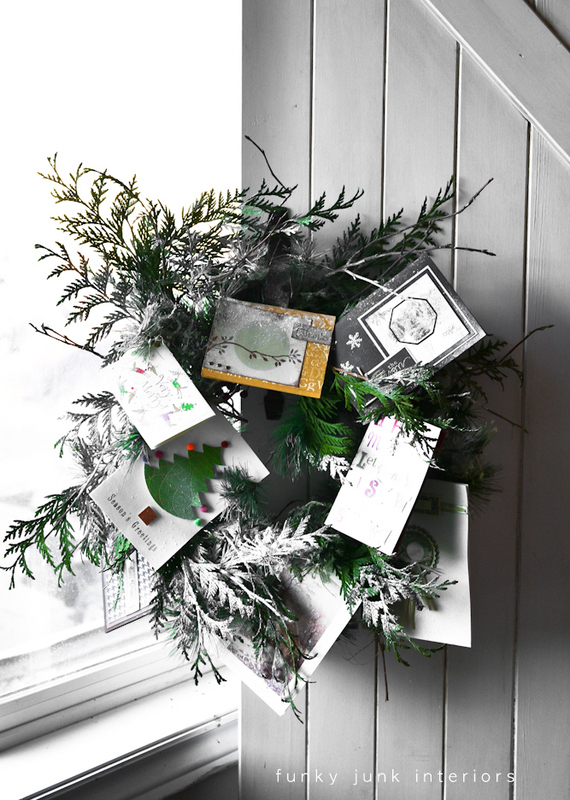 Make a snowy Christmas card wreath from garland is not only pretty to look at, it’s a neat way to appreciate both new or older Christmas cards in a unique way! The wreath started as a store bought plain garland. Looping it together to create a wreath shape, freshly cut greens were simply stuck into place. No glue in sight. Cards were attached via a hole puncher and twine. Twigs were added for a little rustic bling, finishing off with a light mist of snow spray, going right onto the cards as well. Could you imagine a super big one holding all your new cards this season? Way fun! 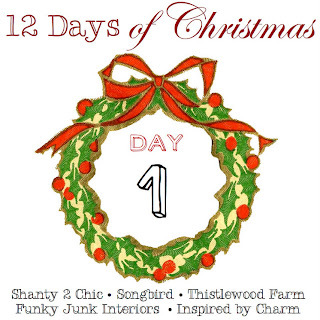 Join the other 12 Days of Christmas gang today as well! This is beautiful and so much fun. I love the way the snow just brings it all together. WHat a sweet way to display favorite Christmas cards! That is a great way to display all your favorite Christmas cards! I have a cute basket that I put mine in. Then my children can pull them out and look at them. Beautiful Christmas Cards displayed perfectly! Love this idea of a card wreath! Love this Christmas idea! What a fun way to display cards and celebrate the holidays! O Holy Night, I love this post!! This is a wonderful idea and I like your version better! Love this Donna! So beautiful and a great alternative to just putting a basket out for the cards. 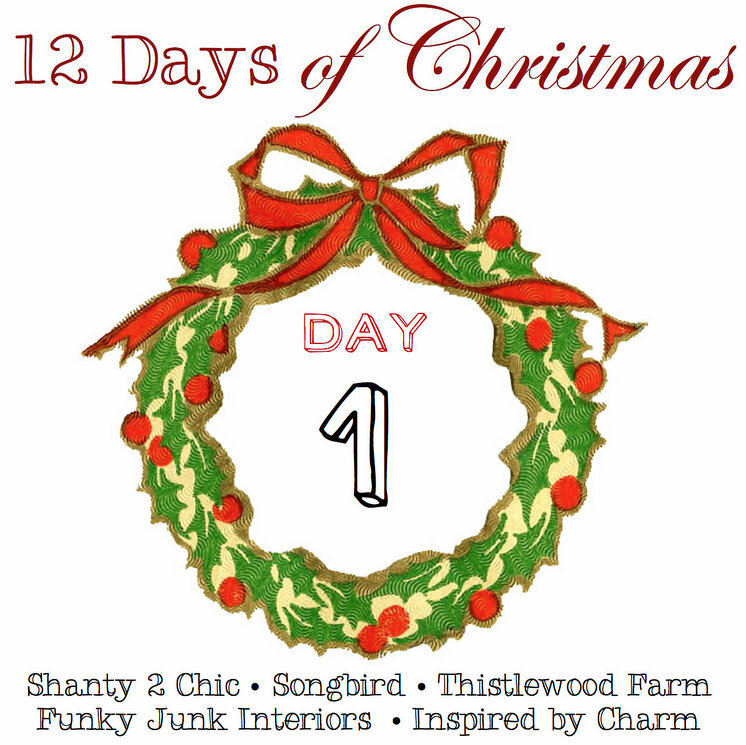 Off to visit the other 12 Days of Christmas hosts! Love the dusting of snow. I’ve made placemats with the grandkids buy grouping old cards by theme or by cutting out the snowmen santas, etc. The kids put the cards they pick on a piece of clear contact paper and an adult helps them put another piece on top. These are so colorful and kids always know which one is theirs. Beautiful! simple and charming, just my cup of tea. I really like this idea! I’m pinning it for next year. This year I’m displaying cards on a piece of baker’s twine, clipped with clothespins. Really great idea — especially for those cards that are especially pretty. I save my old Xmas cards to make gift tags. 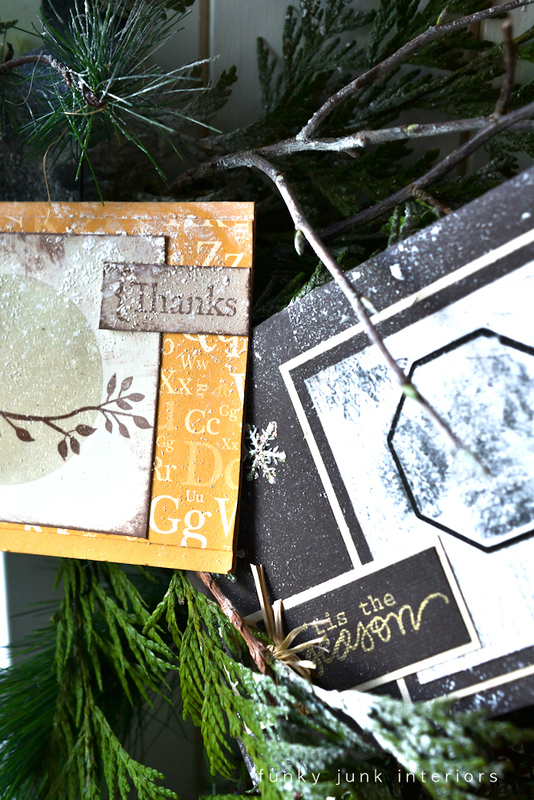 Just cut out tags with a pretty punch, add a hole and twine and you have a tag. I try to do a bunch ahead so they are ready for anyone who needs to wrap a gift. 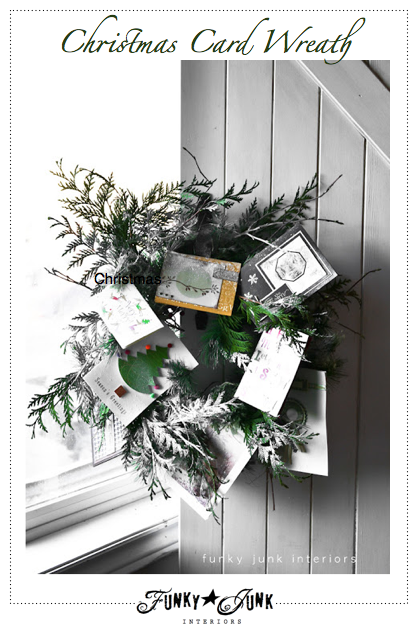 Love this simple yet stunning wreath!